Horse racing is popular across the Virgin Islands, and particularly amongst Tortolans. 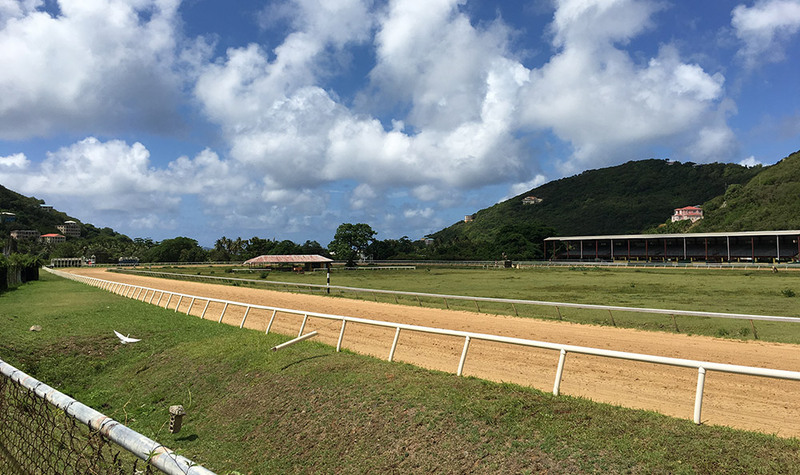 Ellis Thomas Downs racetrack in Sea Cows Bay on Tortola is one of three horse racing facilities in the Virgin Islands; St. Croix's Randall "Doc" James Racetrack and St. Thomas's Clinton Phipps complete a trifecta of horse racing facilities in the Virgin Islands. (FYI Wagering is legal in the US Virgin Islands (which also have casinos) but is considered illegal in Tortola. A great pride exists amongst Tortolans for their home race horses. A great conversation starter with a local is to ask about their interest in horse racing. Or just ask them about Really Uptown. Sadly, there is a need for improvement of the horses' lives on Tortola. Proper facilities don't quite exist on the islands for the ideal treatment of race horses. And in 2016, the US Virgin Islands struck a deal with US company B & B Amusements to take over operations of the St. Croix and St. Thomas racing facilities. The deal includes some $30m in improvements - much of which to improve the horse's facilities. It also includes larger purses which could lead to the best Tortolan horses and trainers leaving for the USVI. Tortolans are worried about their own track's future and hope that the BVI can do something similar to improve the sport's future on Tortola. But that future depends on legalized gambling, something that is unlikely to be passed in the BVI.